Families love Northern Michigan because there is so to do for children and for the entire family. For generations, families have come Up North to spend not only family time, but to enjoy the many recreational and cultural opportunities that are available year 'round. What is more perfect than a day at the the beach. 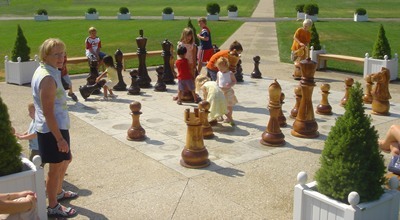 Kids love to visit the Harbor Springs Deer Park. Searching for Petoskey Stones is a great family activity. 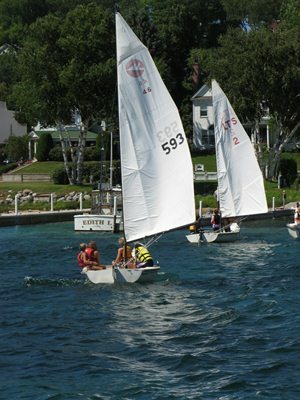 Kids have been learning how to sail from the Little Traverse Sailors in Harbor Springs and The Charlevoix Mariners for years. The Oden State Fish Hatchery can teach kids of all ages about fish. Northern Michigan's many parks and beaches are perfect for hiking, picnicking and more. Theatre, music, classes and activities take place all summer long at the Bay View Association in Petoskey. Northern Michigan is rich with Arts, Entertainment & History and many of the activities are tailored to children and families. Families love to ride their bikes from Charlevoix through Petoskey to Harbor Springs on The Little Traverse Wheelway.